The hall was abuzz today as the class of 2014 gathered to receive their much-anticipated A-Level results. Overall, the cohort has done excellently, with 774 (61%) of our students achieving at least 5 distinctions in their subjects. Although this is less than last year’s number of 68%, it is nevertheless commendable given the national dip in results. 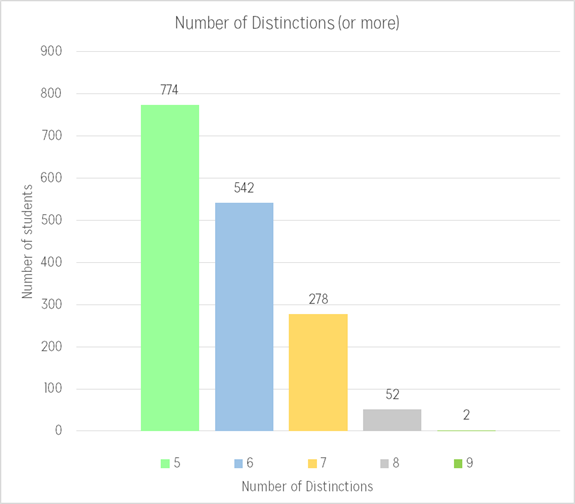 64% of the batch also achieved at least 3 H2 distinctions (compared to 68% for the class of 2013), with 50% getting distinctions in all their H2 subjects. 26% of students succeeded in getting a perfect University Admissions Score (UAS) of 90, while the mean UAS remained relatively high at 85. 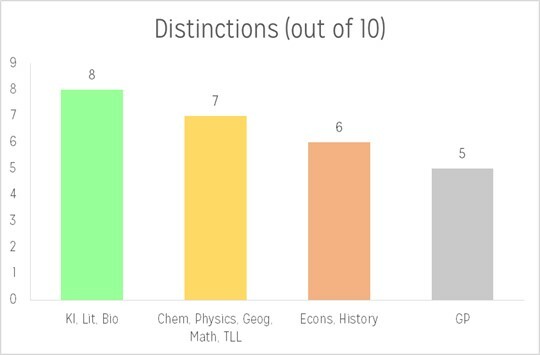 With regard to individual subjects, the cohort attained stellar results overall in Knowledge and Inquiry, English Literature and Biology — for each of these subjects, roughly 8 in 10 students scored a distinction. The batch’s performance in Chemistry, Physics, Geography, Mathematics as well as Tamil Language and Literature was also commendable, with approximately 7 in 10 of each subject’s takers attaining a distinction. Though the number of distinctions for Economics and History showed a 10% decline compared to last year’s, a sizeable majority of students (6 in 10) still managed to get an A for the subject. However, this is also partially because nationally some subjects’ average came down and ours did correspondingly, but this does not reflect a drop of standards in our teaching. As usual, General Paper proved a hard subject to score well in, for only 48% of those taking the subject walked away with a distinction, nevertheless an improvement from the previous year. Continuing to emphasize the importance of holistic development in RI, Mr Chan highlighted certain notable Rafflesians who had done well in non-academic fields, namely sports, the arts, leadership and community service. 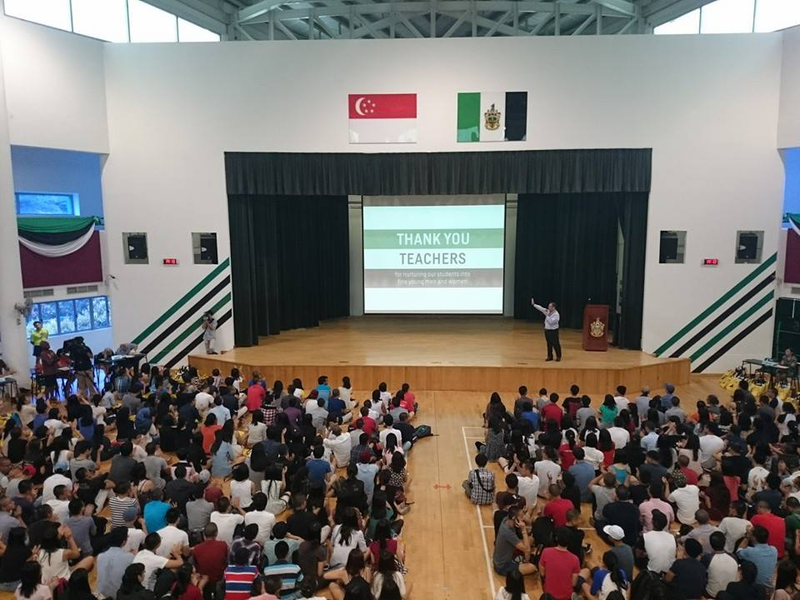 Though these people may not have perfect A-level results, they have nevertheless been able to maintain admirable grades even despite their busy schedules. Those who were lauded include national rhythmic gymnast Daphne Chia; the former chairperson of RI Chamber Ensemble, Koh Kai Jie; the President of the 33rd Students’ Council, Edward Kim, and Wee Jing Long, who founded RI’s Habitat for Humanity chapter. Do look out for our upcoming articles on some notable Rafflesians! The batch of 2014 has certainly done the school proud with their effort and results. 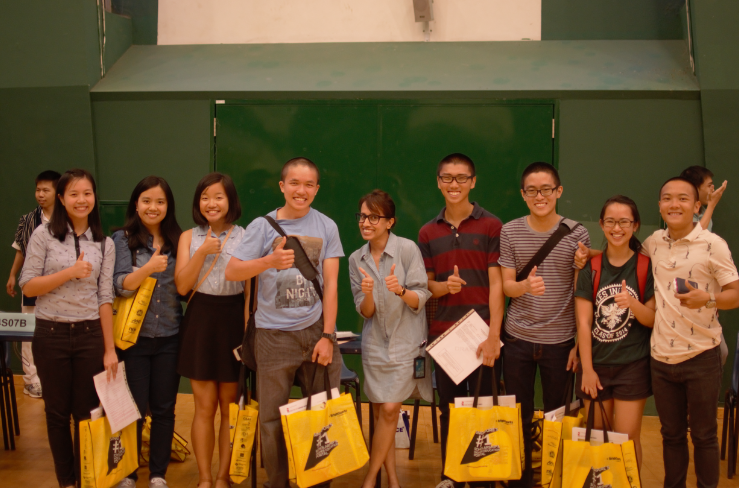 On behalf of Raffles Press, we would like to congratulate our seniors for their excellent work.